The first IML-packaging worldwide for the Nissin Group has now received the most prestigious award from the packaging industry in Sydney. Sydney / Kremsmünster, 24 May 2013 – In the packaging industry, the WorldStar Packaging Award is as coveted as the renowned “Oscar” is in the film industry. This year, 316 packaging concepts from 33 countries were nominated by an international jury. In the end, 159 designs received awards throughout seven categories: electronics; health & beauty; beverages; household; food; medical & pharmaceutical; and an “others” category. Among the 42 nominees in the food category was a pot for the packaging of instant noodles that was developed by Greiner Packaging International in close cooperation with Nissin. 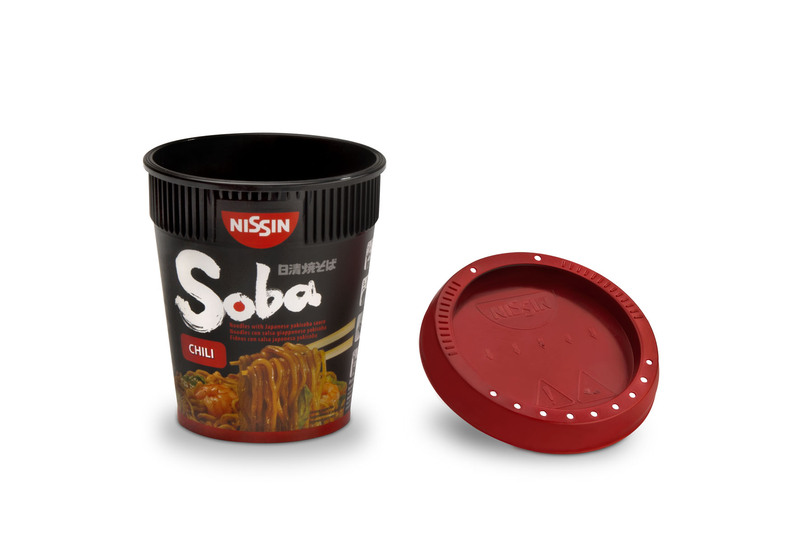 For the European market in particular, the noodle-based convenience dish, Nissin Soba, is being marketed with an impressive packaging concept that displays a high degree of functionality. The noodles are prepared directly in the pot, simply and easily: just open the pot, take out the sauce, fill the pot with hot water and after three minutes drain the noodle; stir in the sauce – and it`s ready to eat! The look of this award-winning packaging solution updates the traditional features of the Nissin noodle pot with some modern elements. The new background color is black and conveys strength and durability. At a glance, four unique lid colors communicate the four varieties of flavors. In addition to its new colors, the lid design was completely revamped as well, including its pouring function. For decoration, IML (In-Mold-Labeling) is used – for the first time within the Nissin Group worldwide. In 2012, the Nissin noodle pot received an award, too – the HUNGAROPACK Hungarian Packaging Competition Award 2012. This was the prerequisite for entry in the WorldStar Packaging Award competition, as only winners of previous national competitions were entitled to enter. The organizer of the WorldStar Packaging Awards competition is the World Packaging Organisation founded in 1968, that unites enterprises, associations, organizations and research institutions from more than 50 countries.